Thanksgiving has come and gone, and Christmas season has officially arrived. We couldn’t possibly feel any more festive! If you’re still looking for some Christmas decorating inspiration, we’ve got you covered! Our Kirkland’s Insiders have been hard at work getting their homes ready to celebrate the holiday season. Here’s some of our favorites! If your holiday season is anything like ours, you’ll probably have people streaming through your house for impromptu gatherings and a planned party or two. You’ll want to make a positive first impression on every guest, and your front porch décor is the perfect way to do it! 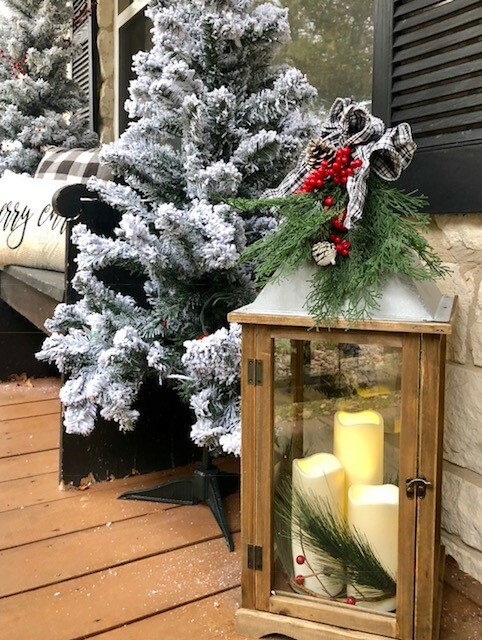 From fun wreaths to mini trees, and everything in between, our Kirkland’s Insiders have created sensational Christmas front doors. 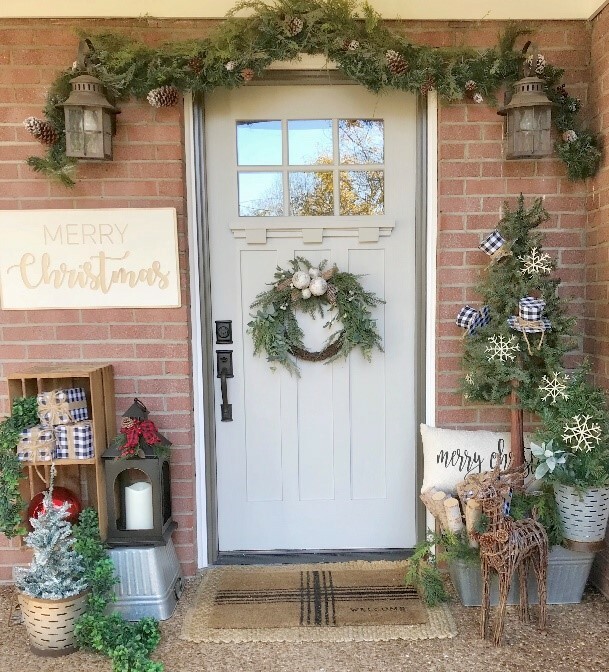 Gracious Spaces, Hip & Humble Style, Two Hearts and a Home, and Wilshire Collections have so many ideas for how to achieve the perfect front door look. Every inch of your space matters, but the living room and mantel areas are where most of your attention should go. 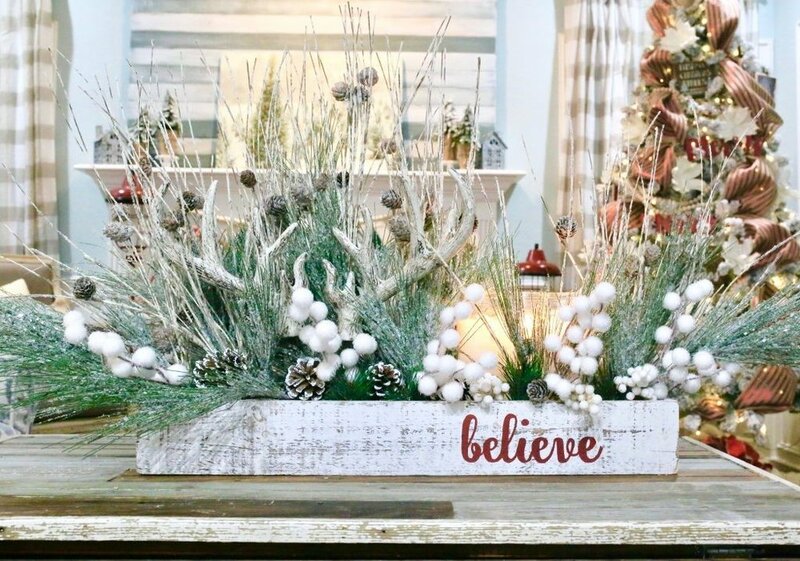 Whether you have a large living room or something a little smaller, a majestic mantel over a massive fireplace or are making your own with what you have, there are plenty of ideas out there to make your space shine this season. If you’re in need of inspiration, here are our favorite looks from The Painted Piano, Farmhouse Flare Designs, White Oak Shop and Refabbed! The holiday season is all about time spent together. Coming together with loved ones around the dinner table or hanging out on the sofa with friends and family is always something to cherish. Even a simple centerpiece can be a nice touch to inspire warm holiday feelings inside everyone who is gathered in your home. We love how Cuter Tutor and Erin Spain are using these centerpieces on their tables. They’ve elevated a normal surface and made it feel special. Christmas trees come in all shapes and sizes, so finding the right tree decor can be a challenge. These beautiful trees by The Daily DIYer and Two Hens Styling and Design are the perfect additions to their bedroom and dining room. We love the finishing touches they added with tree toppers and ornaments! 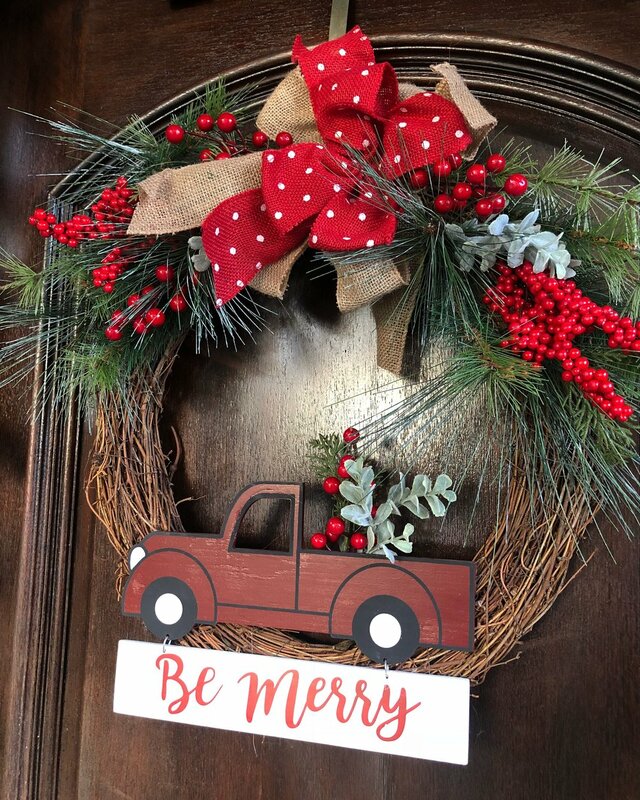 There’s still plenty of time to try new décor, so keep shopping, keep creating and keep tagging @kirklands for a chance to be featured!